A new monster truck is rolling into the arena of long-travel 29ers, this one clad in Yeti’s unmistakable turquoise paint. The new 140-mil machine, which comes standard with a 160-mil fork, is intended to address the demands of enduro racing. "The genesis of the SB5.5C was conceived on the race circuit. Our EWS riders, including current World Champion Richie Rude, wanted a 29er that could handle bigger terrain and still be agile on the descent," said Yeti's president, Chris Conroy. Guided by a slack 66.5-degree head angle, the carbon chassis–which utilizes Yeti’s Switch Infinity suspension platform–certainly looks like one to fit the bill on chunky and challenging terrain. If you aren’t up on the Switch Infinity system already, it’s a translating pivot that changes direction as the suspension moves deeper into its travel. 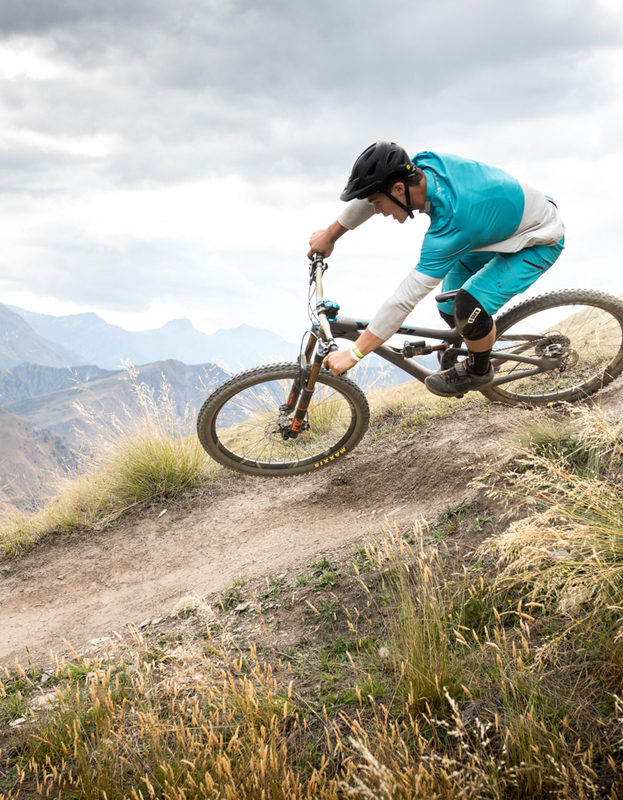 Yeti says it provides anti-squat response, allowing for both efficient pedaling and bump absorption. Beyond the suspension, the SB5.5C sports a pressfit 92 bottom bracket, fully internal cable routing and Boost spacing front and rear. The wider spacing in the front gives plenty of room for a beefy Maxxis Minion DHF 2.5, and the front end is intended to be paired with a 51-millimeter-offset fork for sharper handling. 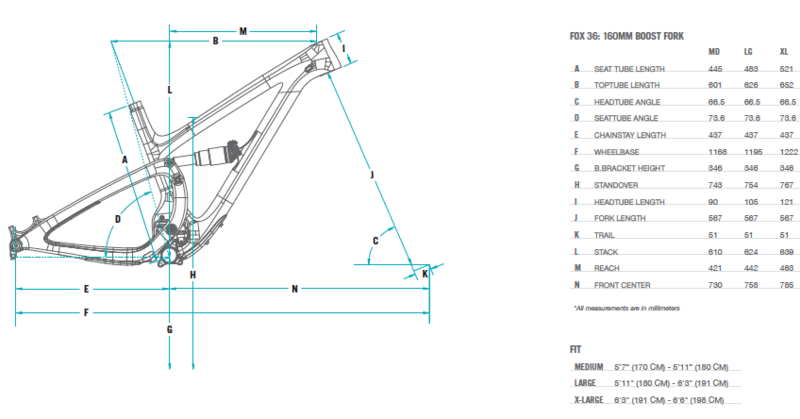 You won’t be mounting a front derailleur on this bike, but there are ISCG 05 tabs. There’s also no place for a bottle inside the front triangle, but there are mounting points on the underside of the downtube. I only have one ride in on the SB5.5C, so these are very preliminary thoughts. 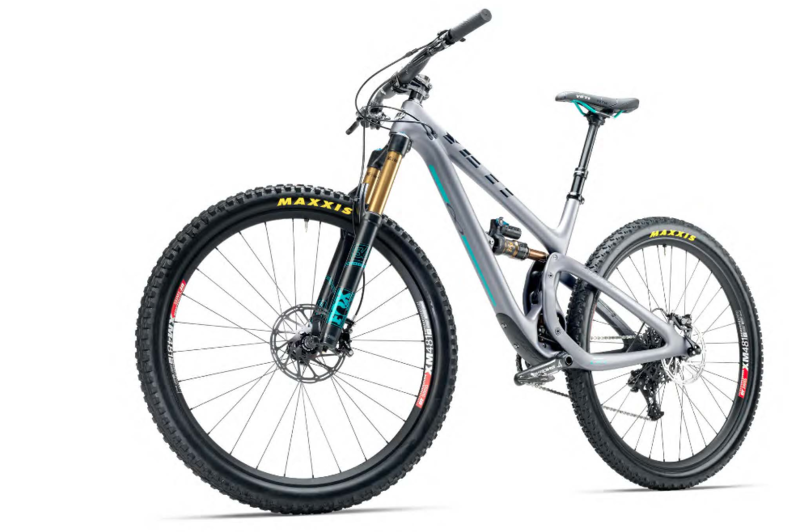 I didn’t have high hopes for the new Yeti on technical climbs–this is a monster of a 29er, with a nearly 1,200-mil wheelbase, 437-mil chainstays and a 66.5-degree head angle–and I’m not going to say that there’s some kind of black magic at work that makes it climb like an XC bike, but it’s certainly no dog. The rear suspension does an exemplary job of helping the big wheels hold traction and keep momentum on loose, rocky pitches, while on smoother climbs, it’s worth switching the rear shock into the medium setting. To say that I felt immediately comfortable on the SB5.5C doesn’t quite do it justice: More like, I felt immediately capable. I didn’t hesitate to take an aggressive–some would call it stupid–line into the first rock garden on a gnarly local descent littered with steep rollers, and the turquoise Yeti charged straight through. The SB5.5C carries incredible speed through chunky sections, and feels better and better as speeds pick up. There’s a point at which a potentially dangerous positive feedback loop begins, where you start feeling good and going faster, then the bike starts feeling even more capable, so you let off the brakes a bit more, or aim for a faster line, and the bike feels even better than before, and so on. At one point, I launched a 15-ish-foot gap with a blind takeoff that I hadn’t hit in months, without eyeing it up first. I’m usually pretty cautious; this whole riding and reviewing bikes thing requires me to be healthy. This is a bike that could convince you to do some really stupid things, and will let you get away with most of them. There are a few potential hangups with the SB5.5C. Like the SB6C, there’s no room for a bottle inside the front triangle, which is a bummer if, like me, you prefer to avoid backpacks. Our size large test bike is specced with a 125-mil Reverb Stealth dropper post, which is fine, but a post with deeper travel would allow more body language. 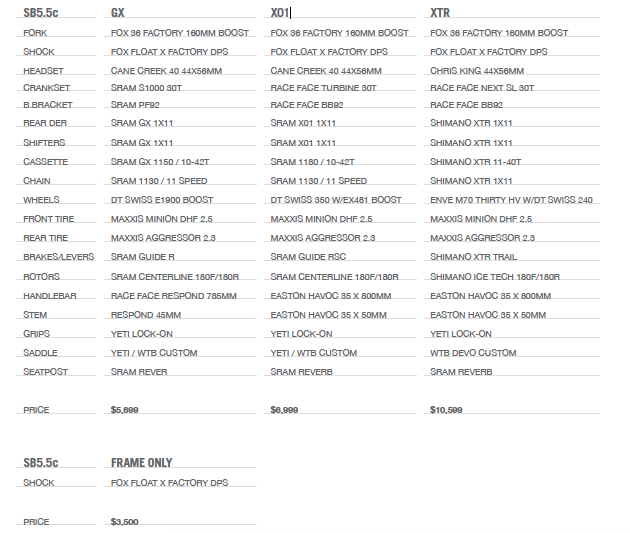 I wouldn’t be surprised if Yeti makes a rolling change to RockShox’s recently announced, longer-travel Reverbs, especially since the spec sheet vaguely says “SRAM Reverb.” And then there’s the cost. With the price of admission set at $5,700 for the low-end GX build, these bikes will simply be out of reach for a lot of buyers. For those who can afford one, though, this Yeti will likely open up new realms of confidence. We’ll be seeing just how far we can push the SB5.5C in the coming months. Wish us luck, and look for a full review soon.